The new HIV/AIDS (Human Immunodeficiency Virus and Acquired Immune Deficiency Syndrome) policy President Rodrigo Duterte signed into law makes health services related to this disease more accessible to more Filipinos. Signed on Dec. 20, RA No. 11166 or Philippine HIV and AIDS Policy Act of 2018 updates and replaces the 21-year-old Philippine AIDS Prevention and Control Act. It mandates the government, through the Philippine National AIDS Council, to make policies and programs that aim to prevent the spread of the virus by treating, caring, and supporting services to those infected. Unlike the 1998 AIDS law, the newly-signed allows minors (15- to 17-year-olds) to give their own consent for taking an HIV test. 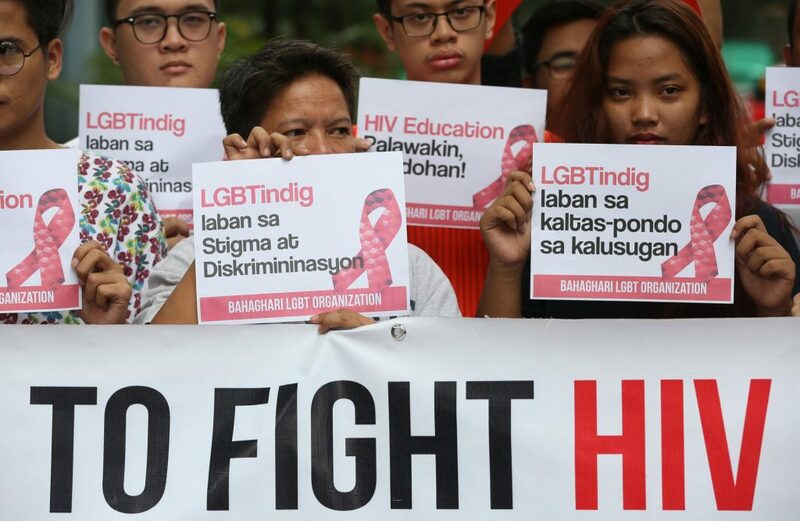 It also requires “the implementation of an education program for HIV and AIDS prevention, aimed at providing the public with relevant information to reduce risky behavior, lower vulnerabilities, and promote the rights of persons living with HIV,” says former Special Assistant to the President Christopher “Bong” Go in a statement. “It also calls for a program that will provide free and accessible antiretroviral treatment to all indigents living with HIV who are enrolled in the program,” he adds. Antiretroviral treatment involves the use of HIV drugs to treat the virus. These drugs aren’t a cure, but they keep the virus under control effectively. The programs are also “in accordance with evidence-based strategies and approaches which are in tune with key principles of human rights, gender equality, and meaningful participation of communities,” says Presidential spokesperson Salvador Panelo. “We consider its enactment and signing timely and relevant on account of the report of the Department of Health (DOH) disclosing that our country has the highest percentage relative to the increase of new HIV cases in the Asia-Pacific region from 2010 to 2016,” says Panelo. According to DOH, there’s a total of 10,550 cases from January to November 2018, 32 Filipinos are diagnosed each day. It’s about time we do something new and effective about this highly stigmatized disease. From here, we’re hoping for more concrete and clearer roles and responsibilities of the government agencies in giving better healthcare for all Filipinos because we deserve it.